Earlier this week I had the privilege to stay in the Governor’s Suite at Big Cypress Lodge. 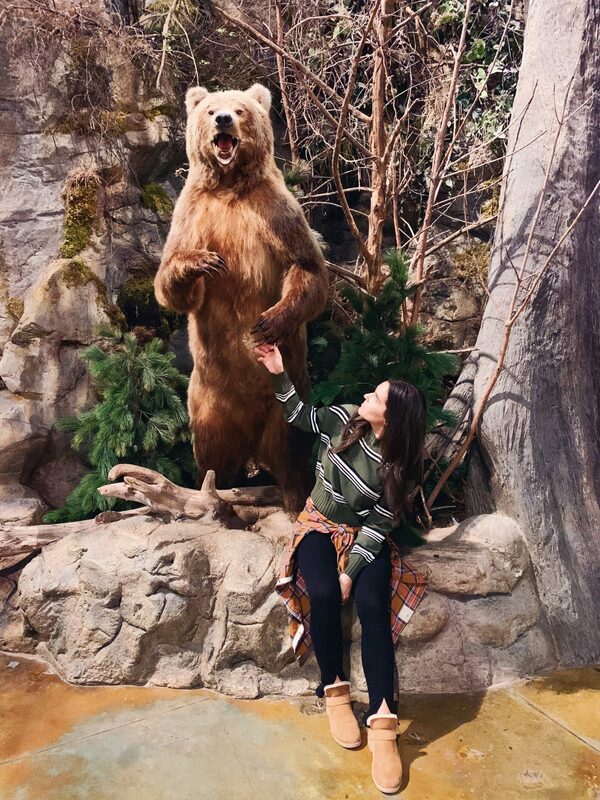 Hunting isn’t really my thing and taxidermy can sometimes make me feel uneasy but Myles is such a huge fan of animals that I knew he would absolutely have a blast and this was a must do! When we arrived in our grande suite I was so giddy, I think it was because I was so excited for Myles. Nothing beats experiencing life through a child’s eyes. The idea of a staycation is a unique one. You may think if you want to get away on a vacation you should leave town and experience something unique and different but there are so many unique things in our city. 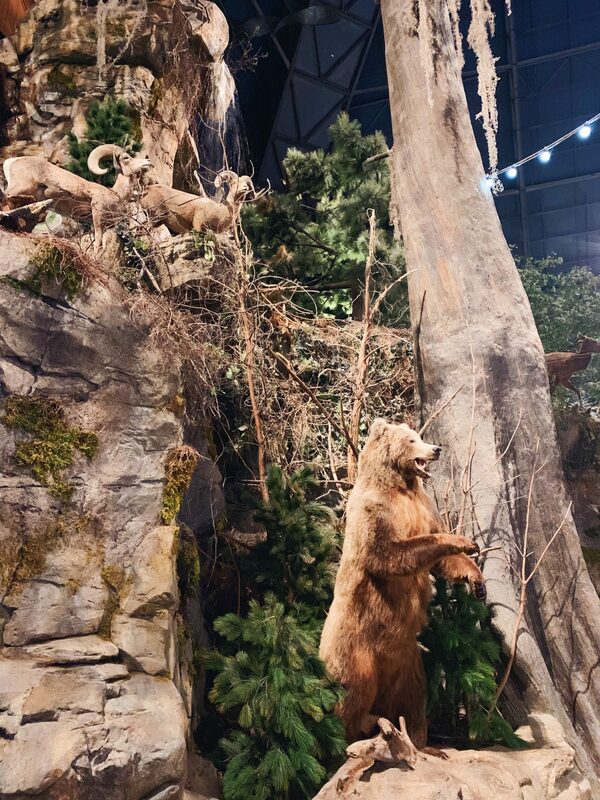 People from all around come to visit the Bass Pro Shop and Big Cypress Lodge located in the iconic Memphis Pyramid and we are within 30 minutes of this tourist attraction. 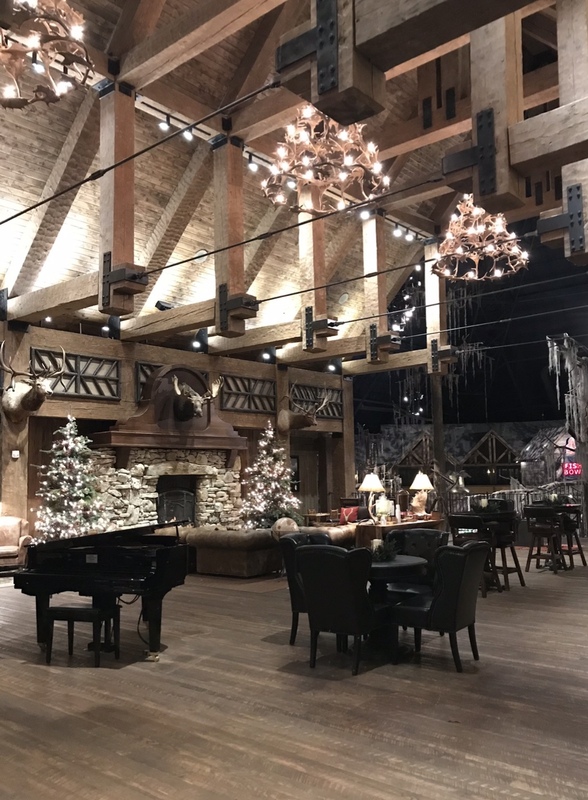 By the way, did you know Big Cypress Lodge was listed as Forbes 10 Best Hotels during its first year of opening? Staying at this hotel is an experience. There is so much to do you can be easily entertained without leaving the pyramid. and suites that resemble vintage log cabins. It took some convincing get Myles to leave our hotel room to go to dinner. He was impressed with all the large taxidermy from ducks to elk along with all the bass we could see swimming down below from our balcony. Luckily we were dining at The Lookout where we got to take a ride up the country’s tallest free standing elevator so it didn’t take too much to persuade my rambunctious toddler to head to dinner. 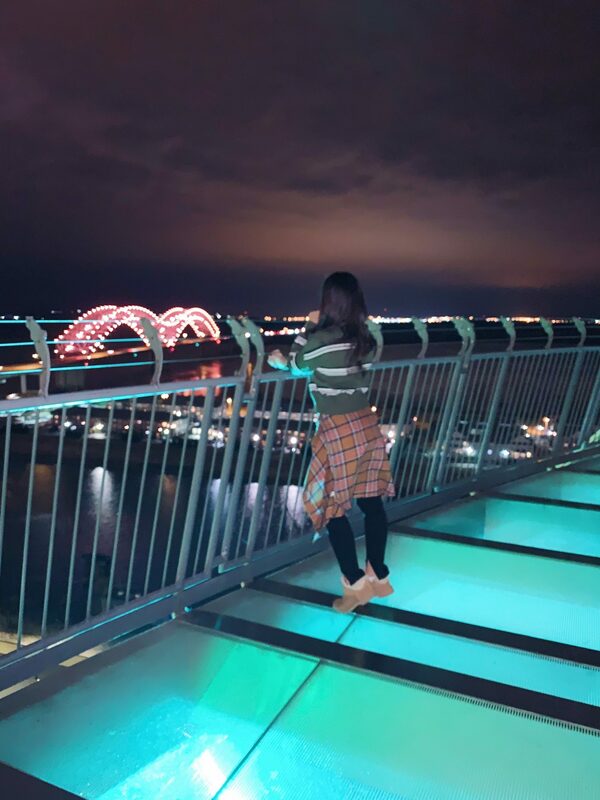 There is an observation deck with panoramic views of Memphis which provided a lot of entertainment while our food arrived. 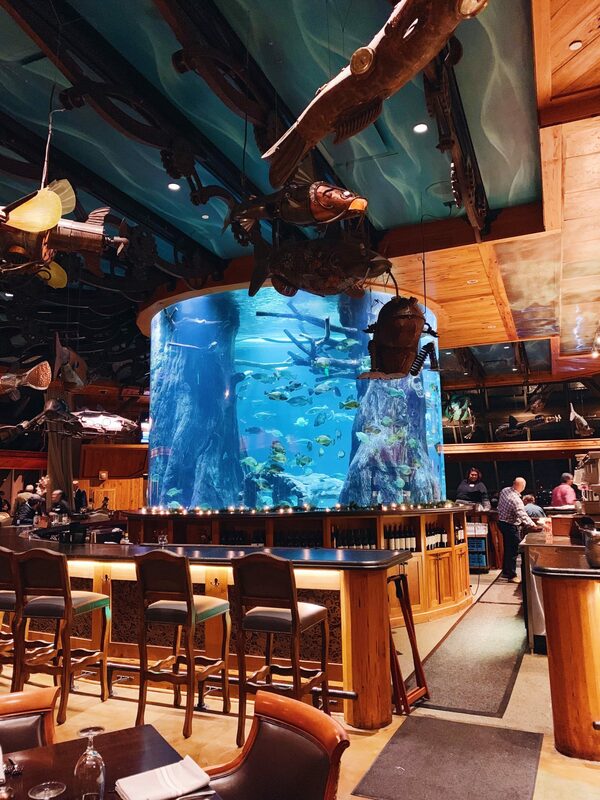 There I also a 10,000 gallon circular catfish aquarium behind the bar that both my boys loved to look at. My husband and I both ordered the steak which was delicious and cooked to perfection and we got Myles the kids chicken tenders which I snuck a bite of- also delicious. After dinner we had an hour of bowling. Bowling was entertaining of us adults as well as the boys. 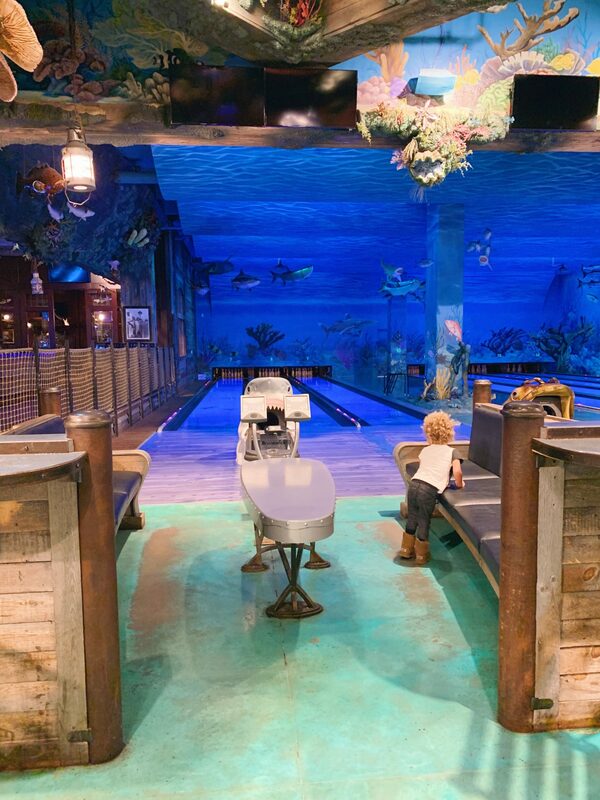 If you haven’t been to the Fishbowl it is a bowling alley that makes you feel as if you are bowling under water. The bowling balls are brought up through the mouths of sharks, alligators and large fish. The balls themselves are large eyeballs and underwater images. Bowling here is also an experience in itself! Noah loved looking at all the lights and movement, Myles again loved the animals and bowling and mom and dad got to have fun too! In the moring we headed down to Uncle Buck’s for breakfast before the stores even opened thank to my early risers! Uncle Buck’s is located on the ground floor where the bowling is located. Once again we were surrounded by fish giving my little ones all the entertainment while we got to enjoy a delicious breakfast! We had such a lovely time I had to offer my followers a chance to win this experience! You can click HERE to enter to win a one night stay at Big Cypress Lodge! Always wanted to do a staycation here!! Looks so fun!! Great pics! 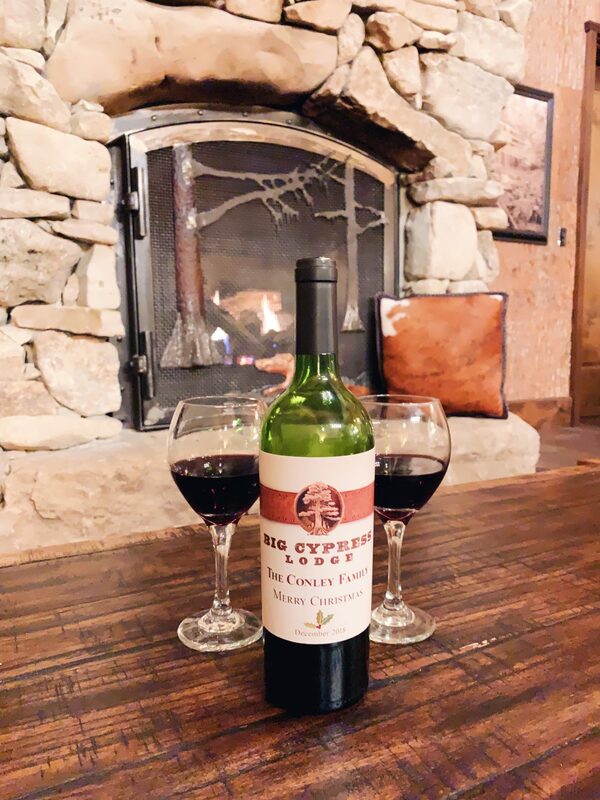 I have never stayed at big cypress lodge and would love to experience this just like you and your family did!! Thanks for sharing! You’re welcome, it is a great spot! Mary Conley, you such an inspiration to me! Thanks for doing this giveaway. Thank you so much! I’m happy to be able to do it!